So Tomorrowland had a bad opening. Tomorrowland was the Disney produced move staring George Clooney that you can roughly guess the story from the title. (Admission, I also did not see it. I am going on reviews and trailers.) It has something to do with a rosy optimistic futurism that might be best captured by Walt himself and a nostalgic view of the race to the moon. The only troubles this futurism can admit to are either those of bad people holding back the future or speed-bumps on the way to greatness. Mad Max: Fury Road in its second week almost met Tomorrowland. Max of course is the flipside of Tomorrowland, a pessimistic futurism. A world where the sane are mad holding on to hope and escaping trouble today just means your road ends tomorrow. As a liturgist one of our forgotten truths is that we embed our greatest truths in ritual. We all have ritual, even you atheists and Baptists. About a year ago our family took part in one of those rituals – the grandparents took us to Disneyworld. Disneyworld is the Vatican of that Tomorrowland futurism. It’s a great trip. Don’t take this as a complaint. Every American child really should go once – like on the Hajj. It is part of being American. Part of the American experience and birthright is the idea that we can do this. From the Pilgrims on the Mayflower to failure is not an option. Disneyland is the architectural realization of that ideal every bit as much as Chartres is of medieval Catholicism. But as my oldest child warmed my heart by saying when asked if she wanted to come back, “no, it’s all fake”. That might have been the harsh judgment of youth, but she parsed truth from a half-truth. The truth of we can do this in Disneyworld is hidden behind the half-truth of it is easy if we just clear the path and keep everything clean. Clearing the path and keeping everything clean in tomorrowland takes massive injections of outside funds. And even then “it’s all fake”. I’ve been trying to think of the ritual expression of Mad Max and I think I know it now, the social welfare state. That state might have started out as an expression of Tomorrowland, but now it is simply an expression of power. When the sane observe that it doesn’t work and might have made things worse they are met with cries of cold-hearted bigot. The outcome of the ritual is not important. It is the fact of the ritual and our heart’s intentions. We mean to make life for the poor better. We have the right belief. Government is the only thing we do together, the ultimate ecumenical expression. Yes, we lost the war on poverty, but government goes on. Your road might end tomorrow, but the government will survive and keep on the fight. The gates of hell will not prevail against it. What are you, mad? Tomorrowland and Mad Max are alternate expressions of the progressive worldview. And Satan could care less which rituals you want to take part in, because both are false and half-truths. He wins when you are led astray. What he doesn’t want you to see is the truth embedded in the church’s liturgy. I am, we all are, the bad people standing in the way of Tomorrowland. The bad people are not some others, but ourselves. I am “a poor, miserable sinner”. “I have sinned in thought, word and deed, by what I’ve done and what I’ve left undone.” The admission that we are by nature sinful and unclean takes care of that “it’s all fake” problem. We can still do great things, but it is going to take a massive injection from outside of us. Which we hear in the absolution. “Jesus Christ was given to die for us, and for His sake God forgives us all of our sins.” That is not fake but as real as a cross. Likewise contra Max, this road is going somewhere. “This is the feast of victory for our God. Worthy is Christ the lamb…the lamb who was slain has begun his reign.” We believe in the resurrection of the dead and the life of the world to come. The intersection of this life and death is found in that highest ritual, the Lord’s Supper. We admit the gritty reality a Max. It took flesh and blood. It took sacrifice. But that sacrifice was not madness. That was the sacrifice of a true innocent which covers us. In this supper we have a foretaste of the feast to come. We have a celebration of the marriage feast. We have a glimpse of the end of the road. We are not mad to persevere, because in our flesh we will see God. We all have ritual or liturgies. And those liturgies form us and how we see the world. Be careful of the yeast of Tomorrowland or Mad Max. Just a little SAT prep for you. That little word analogy is something that I’ve been pondering. This article captures something that I think is true, but I’m not sure I’m as sanguine about it. A parish is a geographical area. Instead of counties the state of LA, French Catholic in origin, has parishes. The catholic church has parishes. My moniker here is Parson Brown. Besides recalling the Christmas song and a cagy mystery solver, the parson is the parish minister. The church in America, even without an established religion, has always acted like a parish. The assumption was that everyone was a member by reason of living in the geography. Some were closer to ideal and some further, but members. Hence at baptism, marriages and funerals, it didn’t matter, the church was sought out. And the church, unless you were a sect, performed the function. A parish fulfills a cultural spot. It might and in most cases is built around a “cult” which I’m defining as a set of shared beliefs, but the secret of the “cult” is that it is never actually questioned. The culture is that which goes without questioning or justification. A congregation is a gathering of believers. A congregation gathers around a confession – “we believe, teach and confess…” The joke Q: How do you get rid of the bats in the steeple A: You confirm them, is a confessional joke. The confessional can’t understand why you would confirm something and then be completely absent. To the cultural, it is just something you do as a shared experience. To the confessional, life is a reflection on and a spring welling up from a set of shared beliefs. We believe is God the Father Almighty…We believe in Jesus Christ his only son our Lord…We believe in the Holy Spirit. Those beliefs are the the foundation you build on and the target you shoot for. Jesus is a the alpha and the omega. And the confessional is driven to those end-poles. A confessional grouping can’t help but create its own culture through the shaping of beliefs. And sometimes, if it gets big enough, that culture drifts and forgets its end-point moorings. We just do this, well, why do we do this? No, that can’t be why? Sometimes it can be called back. Sometimes not. What that article is very sanguine about is saying that now is a time that it can’t. The drift has been too long, too far and too sustained. In fact, like most confessionals, the article might be positively giddy thinking about the “vibrant congregations in an increasing secular environment. That’s the future.” Oh, I can see that. I can understand that. But I also wonder, as “Christians continue to lose what some have called a home-field advantage” what things we don’t think about now come into question. Do you really think that the charitable contribution tax break withstands the budget pressures? What does that do to congregations? How many congregational members are up to making a positive confession by which I mean that making the confession will cost them something. The biblical examples of that are not encouraging (John 6:60-66, Mark 14:32-50). The clock is swinging toward the confessional and the congregational. That is a good thing. But I wouldn’t seek to hasten the swing. Everything in its season. Making clear confessions, necessary. Forcing confessional confrontations with “those who are not against us” (Luke 9:50) is probably avoidable. 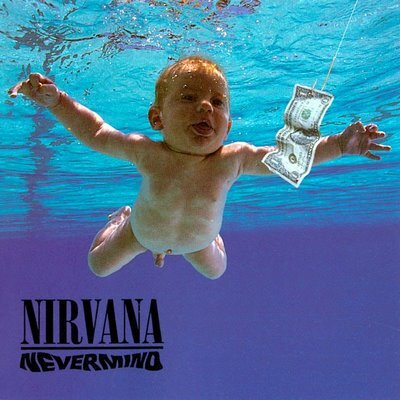 Nirvana’s Nevermind was released 20 years ago. I caught this NPR story on the radio this morning that brought it to mind. I wouldn’t want to treat essentially ephemeral things with weighty seriousness, but occasionally something breaks through. Aesthetically would anyone put Smells Like Teen Spirit next to say Bach – no. But that isn’t what pop music is about. Its about catching a vibe. You get the pop music you deserve. Stuck with Katy Perry and Britney Spears – look in the mirror. Of course I would say the same thing to oh my am I getting old about Michael Jackson and Debbie Gibson. Trust me – Katy sounds really good now, and you will still bop along when you embarrass your kids 20 years later, but you’ll just be putting on a brace face. Back to the point. Pop music catches a vibe and occasionally goes deep. Nevermind…that is the deep end of the pool. Here is why. Pop music is ultimately the law. (Even the stones cry out.) In expressing a vibe of the day it is expressing the wants, desires, actions and works of its singers and listeners. If you want to know the status and sins that any given culture is experiencing, listen to its pop music. There are really only three ways that pop expresses the law: 1) a glorying in breaking it. (Rom 1:30) This is long an glorious vein and most of the truly fun and playful pop songs are here. Say what you want about Katy – her songs can be fun…at least for a while, until you actually try and live them. 2) A rundown of the effects of breaking the law. This is every pop song in the vein of Seger’s Against the Wind or the road songs like Journey’s Wheel in the Sky, Bon Jovie’s Wanted or the Eagles’ Tequila Sunrise and Fast Lane or more recently Coldplay. There are memories of fun, but the fun doesn’t seem fun anymore. And the bills are coming due. And road seems hollow. Then then you get to #3. 3) This game is rigged and I ain’t playin’ it no more. The Stones’ Gimme Shelter and almost every track on Nevermind. These are the pop songs that you can play 20 years or 40 years later. They sound from their time, but they also transcend it, they still sound current because you can hear the human condition. They are not just breakin’ the law or recovering from it. Every generation does that in its own way. These are at the end of that spiral. They are looking for more. “It’s just a kiss away.” “I swear I don’t have a gun.” When you are there…the gospel might be heard. Can you have a culture without the cult? Here are two items that caught my attention. Will the day ever come when a church produces a film that wins an Academy Award? Or a musical that wins a Tony? Or a collection of poems or short stories that wins a Pulitzer? I pray that day will come. But the point, of course, is to change the world and not to win its applause. For believers, there is always an audience of One, and that One is pleased when we honor him with the best of our talents and efforts and also when we participate in the redemption and re-creation of all things. So instead of creating something that interacts with the world, even if it is sub-standard right now, but we are learning, link two says drive all the way to where the culture is at abandoning teachings and principles. Art interacts with the world and seeks to change it. Christians do not so much want to use culture as to make it. They don’t want to be the iPad people but the people who create the apps used on it. In Wayne County, Mich., which includes Detroit, state budget cuts have allowed the medical examiner’s office to bury only half the number of bodies that need to be buried each year, according to Albert Samuels, chief investigator for the office. Mr. Samuels said he has about 185 bodies in storage. So Mr. Samuels struck a contract with a local crematorium allowing him to cremate an additional 50 bodies last year. The cremations cost $170 each, compared with $750 for a burial. Meanwhile, he is working to submit the paperwork to the state for five corpses that have been in his morgue since 2008. The article has several other cities mentioned. What does it say about society when the dead don’t get buried? What is the value of life, or the recognition of what being a human is, when the remains are treated in that manner? What is the old line about how you treat those who can’t stand up? Same week as this story at the other end of life about late term abortionist Kermit Gosnell (Grand Jury Report, Newspaper, Slate – William Saletan)? Look, I’ve never been particularly romantic, but both of these stories about helpless folks are about how society encourages, condones, enables and turns a blind eye. That seems to be a change. Even if society didn’t find value in a specific person in life, it usually found value in them as a human being – a carrier of the image of God. And that image would be respected. Can we really say that about our society today? Even Jefferson would write that famous phrase, “all men are created equal, endowed by their creator…” The equality there is not something that comes from ourselves, but outside ourselves; the image of God broken as it may be. When a society decides this is the way to treat the dead and the yet unborn, can we really believe those words; or do our actions tell more about us? After crunching the latest statistics from New York City’s Health Department, the foundation reported that 41% of pregnancies (excluding miscarriage) in New York ended in abortion. That’s double the national rate…The question becomes even more compelling when broken down by race. For Hispanics, the abortion rate was 41.3%—i.e., more than double the rate for whites. For African-Americans the numbers are still more grim: For every 1,000 African-American live births in New York, there were 1,489 abortions…So how is New York responding? Earlier this month, the Chiaroscuro Foundation put together a high-profile press conference that brought the archbishop of New York and the leader of the one of Orthodox Jewry’s most distinguished organizations (Agudath Israel of America) together with the African-American pastor of a large, Harlem church and a Latina who serves as a spokeswoman for Democrats for Life. As the New York Sun pointed out, notwithstanding all this ecumenical focus on New York’s distinction as America’s abortion capital, it elicited nary a peep from the mayor. Living with a weekly deadline – say something, funny, empathic, meaningful, not to deep, touching, sentimental, strong, filled with good doctrine but full of grace – whether you like it or not, turns the world into source material. I keep returning to Deuteronomy 6:6-7, “And these words that I command you today shall be on your heart. You shall teach them diligently to your children, and shall talk of them when you sit in your house, and when you walk by the way, and when you lie down, and when you rise.” I return to them because they remind me that the words don’t replace life, but fill it up. Likewise, we don’t say I’m going to stop living for an hour and spend time with God. The goal of discipleship is to live with God, to find or better to recognize God in those everyday things, when you walk and when you sit down, when sleep and when you get up. The Math of Beauty (or why it is better to be Loved and Hated than merely liked.). So What Does it mean the Jesus was ‘The Son of David”? This text from Matthew has a really clear purpose – to explain how Jesus is the Son of David even though he is the Son of the Virgin Mary. But I have to admit that what this text was written to address is just not relevant to today. Now before anyone goes nuts (‘the Parson has lost it, he’s throwing out the scripture!’), I’m perfectly willing to say its scripture. It is interesting in and of itself. But it was written in an apologetic mindset. It was written to convince people that Jesus was born of a virgin and still the Son of David. There must be something important about Jesus being the Son of David. Something that maybe just escapes me, but I’d bet escapes most Christians today. I suggest three things, but it is more of an open question. My thoughts were: 1) The eternal throne of David is in the new Jerusalem. What goes on in the Old Jerusalem carries no special religious significance. (i.e. the evangelicals that encourage a pro-Israel policy because of religious prophecy are badly misguided). 2) The Son of David – the fact that Jesus was the Jewish messiah – says something about how important culture is. God incarnated himself in a very particular culture, and then he forms a new people and calls them his body. Christians are the body of Christ. It is our task to incarnate Christ to our very specific time, place, culture. 3) The Son of David was the first to hold the key (see Isa 22:22). That key was given by the Son of David to Peter and the Apostles (i.e. the church). (see Matt 16:18-19, and Rev 3:7). That key is our salvation from sin. The king has the authority to pardon. Jesus as the eternal King – the eternal son of David – can pardon eternally. So maybe it is relevant, but not easy to think about. About as easy as how God was born of a virgin. Elizabeth Edwards died yesterday. From what I know she died of breast cancer and left two younger children in her philandering husband’s care. She lived her first 50 years in private and a very public final 11. And those last 11 include a book called Saving Graces and final good-bye that included the word faith. It is said we don’t speak ill of the dead, but Elizabeth Edwards is a perfect example of MTD or a faith I wouldn’t bother with. 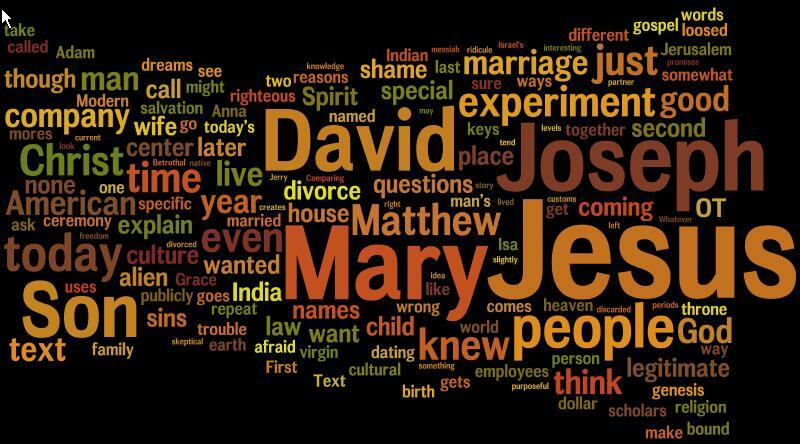 This link is a round-up of the coverage from Get Religion asking about the specifics of Mrs. Edwards graces and faith. Don’t give me any schmaltzy warm glow hope and faith and grace. I want the real thing. Because when that warm fuzzy meets a giant monster that still swallows 100% of the people I know, the light dies. “But in fact Christ has been raised from the dead, the firstfruits of them that slept…so also in Christ shall all be made alive.” – 1 Cor 15:20-22 I believe in the resurrection of the dead and the life of the world to come. That is the content of my hope. There are things to admire about Elizabeth Edwards, but her theology is not on that list. This will be one of those quirky posts. If you don’t like horror movies or TV just skip it. I’ve had a whole bunch of fun watching AMC’s The Walking Dead. Let’s just say of all the things that go bump in the night -zombies are the most fun. Vampires – snooze. This culture has drained the last drop of sexual heat out of everything. Werewolves – not relevant. We are a cool culture and werewolves are hot. Stephanie Meyer of Twilight fame got that right. The heroine of the age would take the un-sexed vampire over the werewolf. But zombies, zombies are cool and removed from sexuality. Zombies force us to look at ourselves and how we live instead of our distractions. The last episode of the this season gave us a little of the worldview of the writers and it shouldn’t be surprising if it was a little dull. They had the CDC (Center for Disease Control) doctor say the line as the time clock ticks down, “the whole place runs of fossil fuels for God’s sake.” At least for that character and the writers, the zombies were just the placeholder for our stumbling toward death by environmental catastrophe. Zombies are a blank slate to draw parallels. The zombie apocalypse is a physical representation of something going on in the culture. George Romero’s zombies were even then a representation of the hollow commercialism of this culture. His zombies when reanimated returned to the mall. With I Am Legend, the fast zombies are an updating of Frankenstein, the dangers of technology moving faster than wisdom. Having that CDC doctor give that line was perfect for this culture. The “man returned from the dead”, the main character southern sheriff’s deputy, natural leader, doesn’t have the authority. The typical guy who would, the old guy character, has the wisdom, but they had revealed him earlier as a fuddy-duddy true believer. He quoted Shakespeare (I think, it could have been another poet) and that some things were worth preserving (or something like that). His character has the fatal flaw of believing in something. But the highly credential CDC doctor – doesn’t believe in anything. His wife believed. She made him promise to keep working. He kept the promise in law but not in spirit. But in this age, the CDC credentialed doctor is the one that could pronounce judgment. I hope the writers just leave it there – a false read of the truth, words without the spirit. Ultimately, why I love zombies, is that the question they pose is one of hope or death, or better hope amidst death. (That is what the main character was pondering in the show when he took them to the CDC.) Do you believe that life is worth something? That something separates you from the walking dead, or are you just a different type of walking dead? Are the zombies the resurrection (the word used by the CDC doctor), or just a fun-house mirror view of that word? Matthew 8:22 and Luke 9:60 both have a zombie-like saying of Jesus. “Let the dead bury their own dead. You go proclaim the reign of God.” Zombies are highly theological. They put before you life and death. Choose life, even one carrying a cross.